Poetry. Asian & Asian American Studies. Film. SHEEP MACHINE is a textual inscape, a poetically painted nonfictional pasture where mechanical violence and visceral fear coalesce into a kind of science prosody, a post-human panorama whose beauty lies in the ruins of reality it depicts. Influenced by Leslie Thornton's film of sheep feeding in a field as a conveyor belt of cable cars ascend and return from a mountain in the Swiss Alps, Vi Khi Nao takes perception into tumultuous terrains, into a pastoral-celestial void in which temporality is transcended, progress is a bourgeois invention, and god is a liability for our life spent in hunger and grazing. 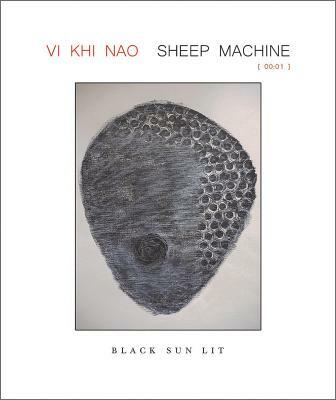 Vi Khi Nao's SHEEP MACHINE is grace said at the ontological last supper. Don't know what to get your favorite Chautauquan? One of our Gift Cards is the perfect solution! Chautauqua Gift Cards may be used for merchandise and services at the Chautauqua Bookstore, Chautauqua Institution, and Chautauqua Hotel Company. Don't see the book you're after? Feel free to call or stop by to check on any titles. If we don't have it, we will gladly special order any book in print at no additional cost, other than shipping if you will not be picking your book up. Delivery time from publisher to our bookstore may be anywhere from a couple of days to a few weeks. Please call 716-357-2151 to inquire. Certain titles that are not returnable to the vendor may require pre-payment. Dedicated to the exploration of the best in human values and the enrichment of life. The Chautauqua Bookstore supports Chautauqua Institution, a non-profit organization, dependent upon your gifts to fulfill its mission. Gate tickets and other revenue cover only a portion of the cost of your Chautauqua experience. A community on the shores of Chautauqua Lake in southwestern New York State, Chautauqua Institution comes alive each summer with a unique mix of fine and performing arts, lectures, interfaith worship and programs, and recreational activities. Visit the CHQ website for more information.